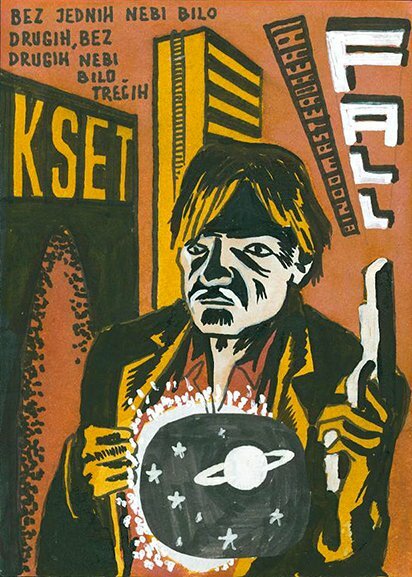 Cool painted piece by the Croatian cartoonist and poster artist Hoff. Mixed media on paper, 4 x 6 inches. Excellent condition.